This industry can be very hard on unraced yearling and two-year-old buyers with Stakes winning success stories coming in sparsely. It gets even harder when competing against bigger budgets to buy the horses that show the promise to be future stars. In only her second year out on her own and first crop of yearling purchases, Liz Crow has added great value buys to her client’s rosters. With a small budget and a handful of clients, Liz bought 10 yearlings for racing at Public Auction in 2016. The group of 10 includes a 2YO Stakes winner at Saratoga and a Kentucky Oaks favorite for 2018. In an industry of uncertainty and luck, Crow seems to be redefining the success rate. 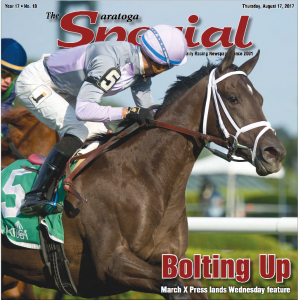 March X Press won in incredibly impressive fashion at first asking in a Maiden Special Weight over the Saratoga turf and followed that up with a BIG win in the Bolton Landing Stakes two weeks later (Read article here). 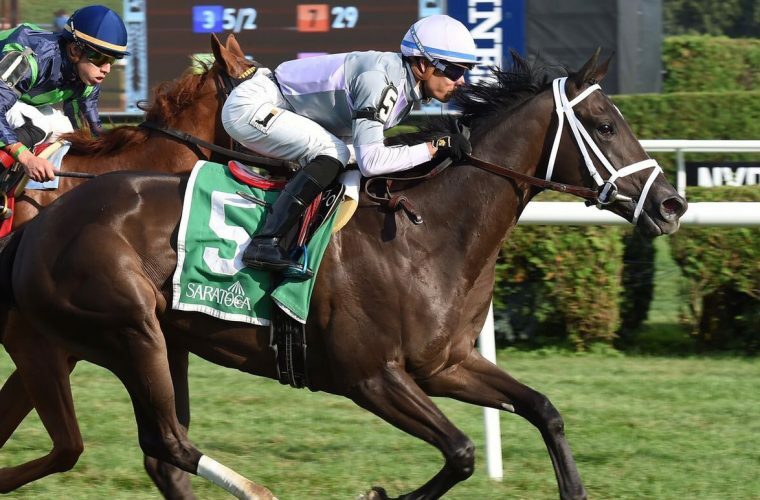 She wrapped up 2017 with a big run in the Qatar Turf Sprint Stakes against boys on the Breeders Cup undercard at Del Mar, running 15 feet further than the winner. Her half brother sold for $750,000 at the 2017 Keeneland September Sale as her pedigree page continues to increase in value. She is pointed for a Stakes filled 2018. 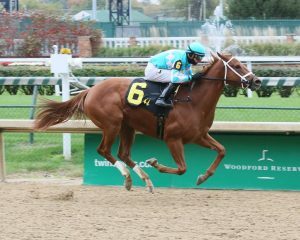 Breaking her maiden first time out over 1 mile on the turf, she followed that performance up with an easy win in Allowance company over the same surface and distance at Churchill Downs. 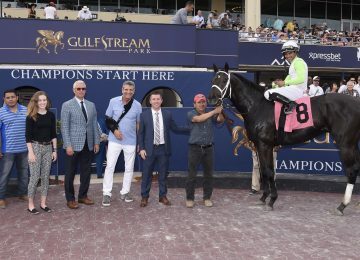 Trainer Brad Cox had so much faith in her ability, she made her next start over 1 mile on the dirt in stakes company and easily romped in the Rags to Riches Stakes at Churchill Downs. She won by 6 lengths with a time over 1 second faster than the boys version of the race later in the card. In her last start, she ran a gut wrenching 2nd by a neck in the G2 Golden Rod and once again ran a full second faster than the boys version of the race. 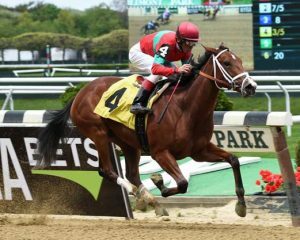 She is hot on the Kentucky Oaks trail for 2018. Take That for Data is one to watch. He debuted for trainer Brad Cox on closing day at Churchill Downs in a Maiden Special Weight, turning in a monster effort to run 2nd and looks like he could have a big winter at Oaklawn and the Fair Grounds. Not only did Liz purchase to race, but also started a pinhook venture in 2016 that sold their first 2YOs in 2017. The pinhook venture equaled, if not trumped, the success she enjoyed on the track as the pinhook achieved 102% return to investors. Tatters To Riches was purchased with Liz’s partner Paul Sharp on behalf of their Crow-Sharp Pinhook Venture. He jumped through all the hoops at the 2-year-old in training sale selling for a remarkable $1,000,000 to Jeff Mullins. 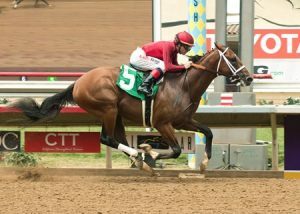 He broke his Maiden impressively first out at Del Mar and after getting a short break at the end of 2017 looks forward to a big year next year. 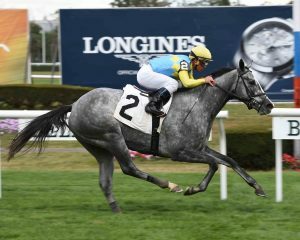 Silver Shaker really rounded into form in 2017 with an impressive Maiden Special Weight score at Belmont winning by 2 ¼ lengths for trainer Chad Brown. 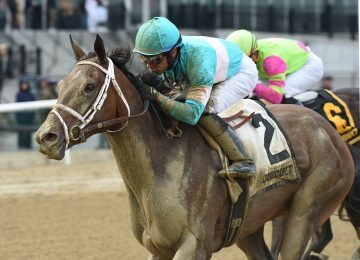 She kept the momentum going, turning in two huge efforts in Allowance company at Belmont and Aqueduct, running 3rd and 2nd respectively. Trainer Chad Brown has high hopes for a 2018 Stakes filled season. 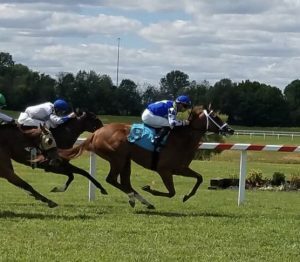 Purchased on behalf of clients GenStar Thoroughbreds, Heavenly Kingdom was sent off the favorite in her first start at Kentucky Downs over 1 mile 70 yards. 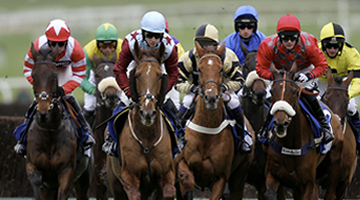 Navigating the tricky course, Heavenly Kingdom turned in a big effort to win on debut. 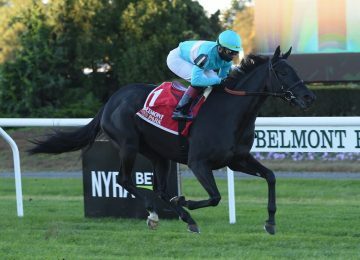 Breaking her maiden first time out at Belmont, she returned two starts later to win an Allowance race at Saratoga by four lengths. She ran 3rd in the Bolton Landing S. at Saratoga next out and 5th to Rushing Fall in the G3 Jessamine S. at Keeneland to finish off 2017. 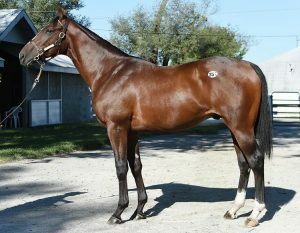 Liz helped Todd Pletcher make this purchase on behalf of Sumaya Stables at OBS March. Shipped to Dubai after her purchase, she blitzed the field in her first start over colts by open lengths. She will remain in Dubai through the carnival and looks to be a top 3YO filly in the carnival. In 2017 Liz purchased the half sister to eventual G1 Breeders Cup heroine Rushing Fall. A filly by Candy Ride that will race for Sheep Pond Partners, Head Of Plains Partners, Ten Strike Racing, and Steve Laymon in 2018. Overall with 21 yearling purchases in 2017 there is lots to look forward to in 2018. Liz’s public auction purchases saw a lot of success in 2017 and look to have an ever bigger 2018.